The days of swiping the iconic yellow and blue card at train stations (and then swiping again because it didn't swipe properly the first few attempts, and now there's a line of impatient New Yorkers behind you cursing under their breath) may soon come to an end. 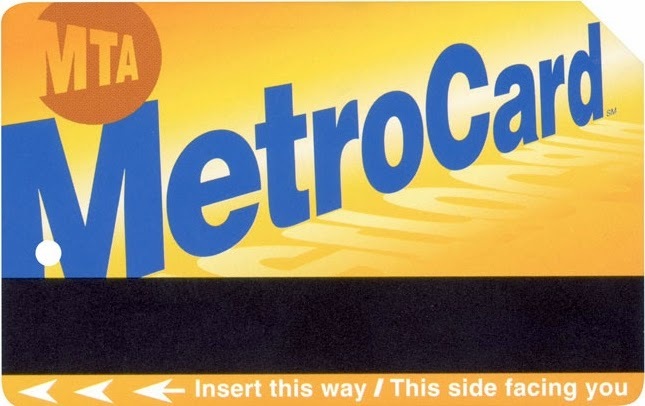 The MTA announced on Monday that it expects the 20-year-old MetroCard (feel old yet?) will be replaced with a touch-friendly system that will be designed by the end of the year and introduced in 2016, phasing out over three years until fully replaced by 2020, according to reports. Aaron Donovan, a spokesman for the MTA, told Gothamist early this year that the electronic system "would be a new fare payment system that is based on a form of technology for payment, which is technically known as the RFID or NFC for near-field communication type of payment." This type of system is used in Europe and is similar to London's Oyster Card, and will allow straphangers to tap sensors with their smartphones, credit cards, or other RFID or NFC-enabled devices to pass through subway turnstiles. According to Time Out New York, the cost of producing an estimated 80 million MetroCards for 2014 alone is around $6 million, so this technology may save the MTA a substantial amount of money in the long run—that is if installing the system pays off, since the digital upgrade is reliant on other industries to implement the technology. While this does away with those flimsy cards that always find themselves tossed on the ground throughout stations (eco-activits rejoice)—not to mention the annoying $1 surcharge for a new one—and the dated and expensive vending machines, could the new system be potential grounds for opportunistic thieves to score iPhones and credit cards from commuters, adding to the spike in smartphone thefts that are already a cause for concern? Moreso, RFID-technology isn't all that secure, as we've seen in last year's wide-spread credit card theft at Target stores. Another challenge is that the MTA may have failed to realize that not everyone has or can afford a smartphone—especially school-aged commuters that rely on student MetroCards. And according to a study commissioned by the Department of Consumer Affairs' (DCA) Office of Financial Empowerment (OFE), more than 825,000—13 percent—of adults in New York City do not have bank accounts. Though the change will take a few years, Metro-North and Long Island Rail Road commuters are close to being able to buy tickets via their phones and tablets, the New York Post reported. Lets just hope this doesn't encourage the MTA to raise fairs even more—oh hell, we all know it will. What do you think about the coming changes? Do you think we're technically advanced for this yet or should the money be better spent actually improving the train service (really, it should). Let us know in the comment section below!